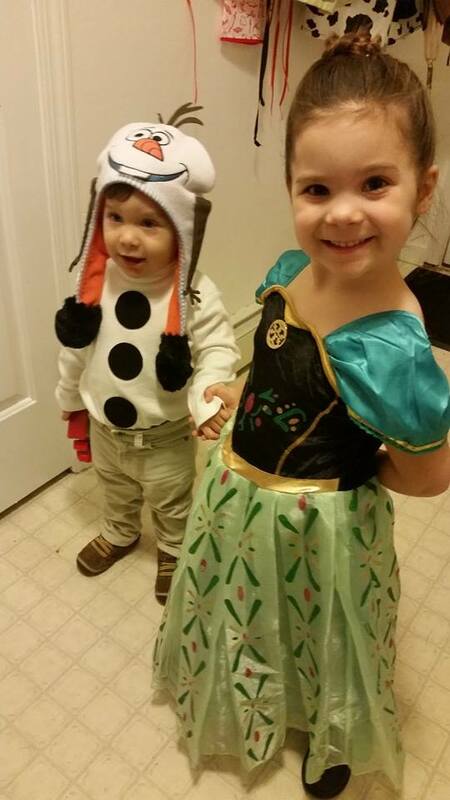 My daughter (along with half the kids in the US) decided she wanted to be a character from Disney’s Frozen movie this Halloween. After she made the big decision of which character (Anna) and we negotiated how the rest of the family would fit in (“Nobody is Hans because he’s a bad guy.”), I got down to the business of assembling our costumes as a mixture of bought (mostly at Old Navy with coupons!) and DIY pieces (because I do not have time to learn to sew dresses!). I fell in love with Anna’s Coronation outfit (which I found cheap on eBay direct from China) and convinced O to go along with the green instead of Anna’s typical snow travel ensemble (which involves a dress AND a cape). The hairpiece was the easiest part and I think it allowed us to not have to totally copy Anna’s intricate ceremony hairstyle (we just slicked her hair up in a bun instead). HOW TO: For her hairpiece we picked out 3 sparkly ribbons: a light green, a dark green and gold. I cut pieces of equal length from each and hot glued them to a barrette (from A.C. Moore). Then I tied another piece of gold into a bow and hot glued just the back of it to the barrette (tip: put your fingers in the bow loops as you glue so the tops don’t get stuck or your clip will look smooshed). Easy! Although technically Anna wore more formal shoes to the coronation, it’s getting pretty cold over here, so function won out (plus my daughter needed some fall/winter transition shoes). Luckily, she was okay with it because these boots are clearly featured in the movie during Anna’s visit to Wandering Oaken’s Trading Post & Sauna. I picked out The Children’s Place Ryder Boots to decorate. 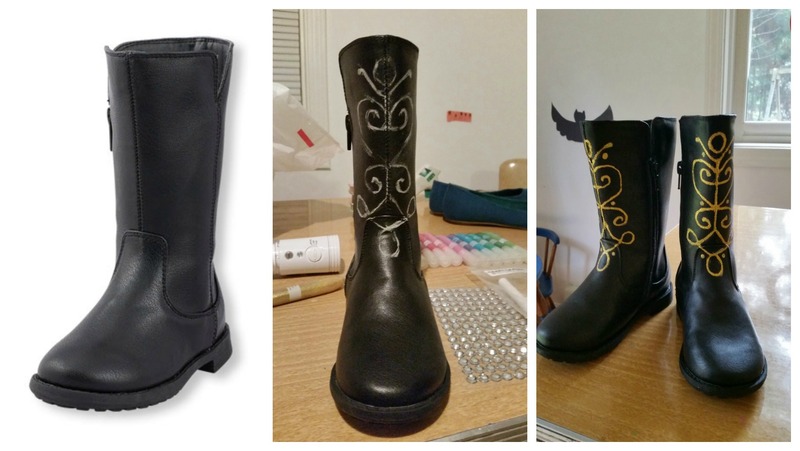 HOW TO: I printed a picture of the costume boots from The Disney Store to use as a guide. Then I sketched out my design in chalk (you can easily wipe chalk mistakes off faux leather like this with a damp cloth or finger). I started out with Fun Paint Glitter Glue in gold but the applicator tube was too big and I knew all my lines were going to run together. Then I tried Martha Stewart’s brand glitter glue in lemon drop (pack of 16 assorted colors on clearance at A.C. Moore!) which had a perfect, long thin applicator but the yellow turned green on the black boots. 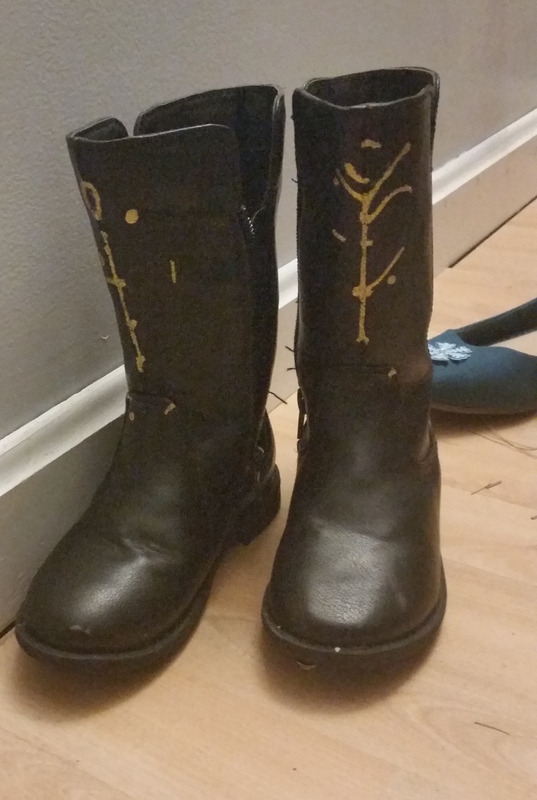 I had to empty the Martha Stuart glue and replace it with the gold in her small tube but then I just traced my design and let the boots dry overnight. If my daughter is Anna, you know Mommy has to be Elsa. 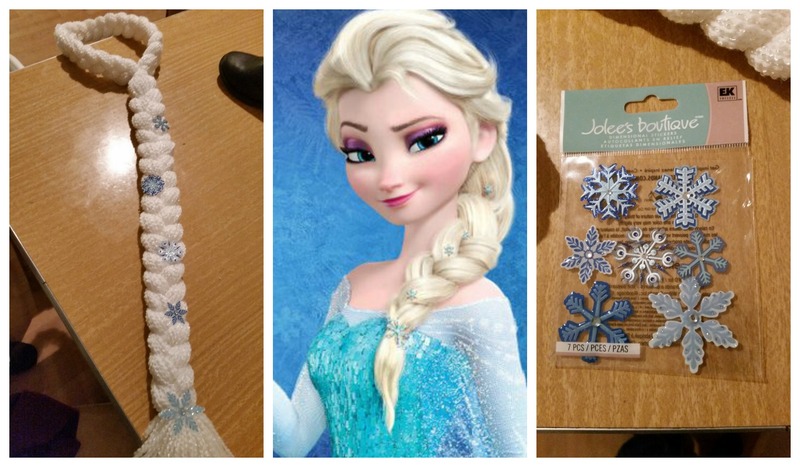 Since I have a pixie, I knew I’d need faux hair for Elsa’s signature over the shoulder single braid. Doing just a braid crown took less time than crocheting an entire hat and attaching the braid and I think it turned out pretty good! HOW TO: First measure loosely around your head and down your shoulder to where you want your braid to fall and then double that length (I probably also added a few extra inches to be safe – better too long than too short). I picked a white yarn with some sparkle and cut about 200 pieces that size. Yes, it will be tedious, but turn on a movie and you’ll get through it before it’s over. Tip: make sure you lay your pieces of yarn out so that the ends on one side are lined up (doesn’t have to be exact) to save time and frustration later. Next, holding all your cut pieces together, tie a knot at the lined up end and stick it under something heavy (I put it under my laptop). Comb through the yarn with your fingers to make sure it’s not tangled (take your time! 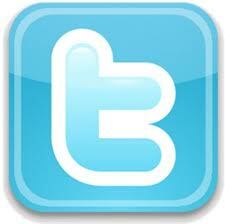 ), divide it into 3 sections and braid. Use a large hairband to hold the end of your braid temporarily. Find the center of your braid and hold the center up to your forehead. Wrap the ends behind your head so that it feels comfortable but not too loose (remember the yarn will stretch) and tie that permanently. I used two of those tiny rubber band hair ties (since they always break). Now, unbraid your 2 tail ends and re-braid them together into a single braid. Secure the end permanently and trim your ends even. There are lots of ways to decorate your Elsa hair braid and I thought about getting some sparkly snowflake jewels but when I stumbled across these paper snowflakes in the scrapbooking section of A.C. Moore, I knew I wasn’t going to find a better deal. Put 2 aside for your shoes and hot glue the rest to your braid. 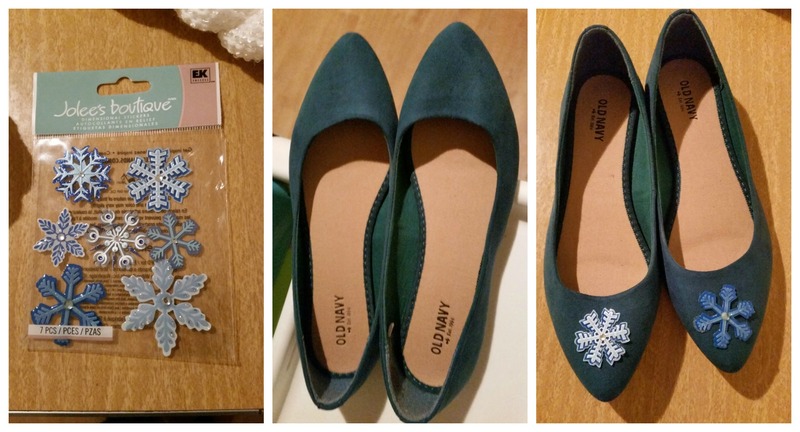 I kept 2 snowflakes leftover from Elsa’s hair and hot glued them onto some teal blue Sueded Pointed Toe Flats from Old Navy. 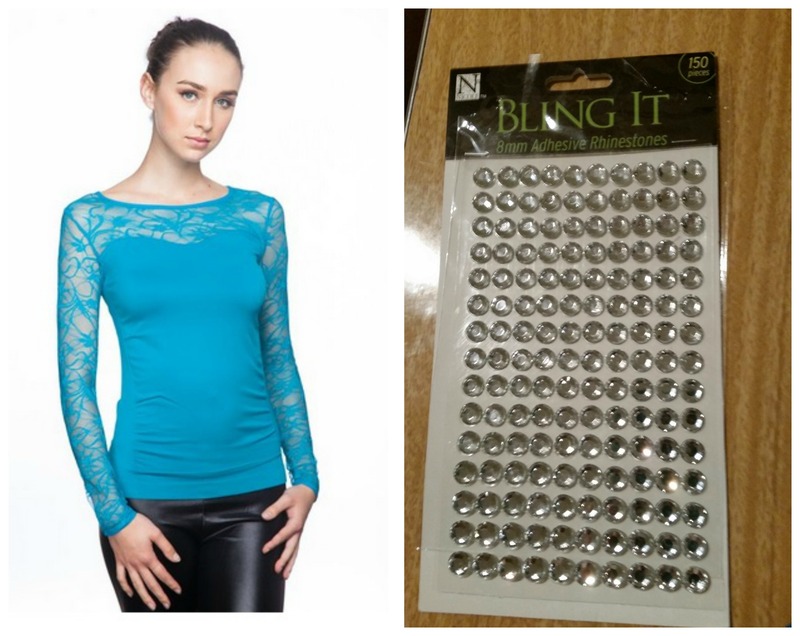 These are another totally different shade, but at least all the pieces of my costume were blue, right? 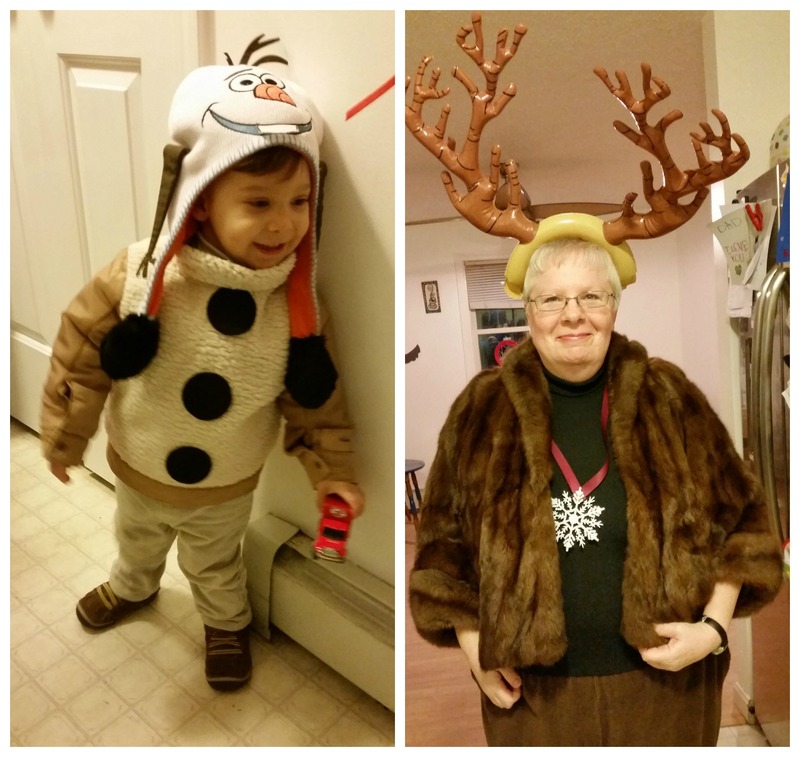 Mimi went as Sven the reindeer (a close win over a rock troll). I already had a brown furry cape so she paired that with some brown pants, a black turtleneck and inflatable antlers (the fuzzy ones looked really straggly, plus these were cheaper). Of course her costume wouldn’t be complete without an “Official Arendelle Ice Master and Deliverer” medal, so I found a glittery snowflake and hot glued it to some leftover maroon ribbon from Daddy’s costume to make it a necklace. 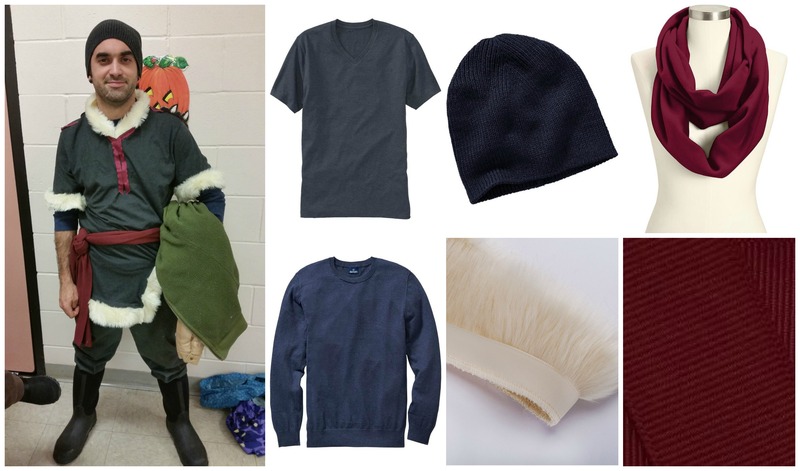 My husband’s costume was the only one that required sewing but it was still fairly simple. He used his own gray twill pants an Bogs boots to finish off the look. Kristoff’s over shirt/ tunic – Old Navy Men’s Classic V-Neck Tee in color: heather dark gray. Buy one size larger than normal! HOW TO: I started by pinning the grosgrain ribbon around the collar and v-neck of the shirt/tunic. Then I added a stripe across each shoulder, following the existing seam. I didn’t have a thicker piece of ribbon, so I laid 2 about 6 inch long pieces of my 1.5 inch wide ribbon side by side down the front of the shirt from the point of the v-neck and sewed everything down. Next, I cut out a V shape from the bottom right side of the tunic and pinned faux fur along both sides of the V and around the bottom hem. I pinned and sewed faux fur around both arms and the neckline – but not all the way to the center of the V-neck – leave an inch or 2 free of fur there. I don’t think you can even tell in the picture above that I left that empty space in front, but, trust me, his chin would have been swallowed by fur otherwise (it also helps ensure he can pull the shirt over his head – see below). Quick tip: I found out that sewing trim onto jersey material is hard; if you pull too much, it’ll bunch and if you pull too little, the sleeves might be too tight to get on. To solve this, I sewed 3/4 of the way around and left the a big tail at the underside of the sleeve. Then I had my husband try on the shirt to make sure his arms fit in and just did a quick tack stitch by hand to connect the fur pieces and cover the empty section. Faux fur is so forgiving, it was completely unnoticeable. P.S. This is what happens to the boots after they’ve been worn during an epic, probably candy-fueled, tantrum. Next time I’ll add some sort of mod podge or sealant or something over the top of the glitter glue. But it was good while it lasted! exactly what I was worried about – last minute rejection. 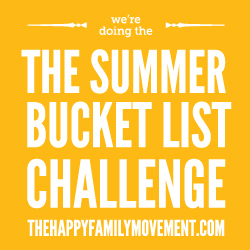 Looks like you made it though that particular mommy challenge wonderfully though – the Madonna costume sounds adorable!